I like the March one especially (the pink background one). Reminds me of Hermione! You don't know what pain is until you've done 1000!!!!!!!! jokes aside great to see you taking up a big challenge, especially as you draw faces with a large amount of detail it must take a bit of time for each one. I'm sure you will gain new skills from the practice! the first one looks fantastic with the shade. the face almost looks metallic. you copying or drawing from your imagination/memory? They're all from reference. I'm really unhappy with the shading on the first one, i had an artist i know give me some feedback and the crux of it is my edgework is a mess, so i'll try to work on that haha. Smileys show how much fun i was having, the least fun during the man. i draw waifus damnit. I really like beard guy #10 there! He feels like he's about to relate the story of some terrible tragedy at sea to me. #6 also very cute style would love to draw like that one. where do you get your references from? I could use with getting some more to keep my drawings sessions fresh. all those new ones look great. nice to see some character in the faces. and thats at least 3 times I've forgotten to use Pinterest for artist reference! thanks. I'll have to have a look later for some faces for sure. Thanks Suuper! 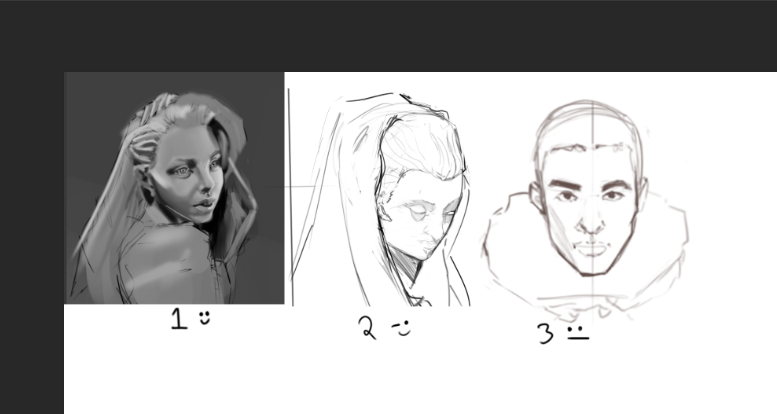 I took a break from doing 20 heads tonight after 2, did a couple of fun sketches! You're doing a challenge as well? Good luck! Really liking the different types of faces you're drawing. 7 and 13 are my favourites. good to see you varying the style you draw with. 1 and 14 for me. Wow you're really going at this Slam! Impressive stuff! Regimens make the world go round. Love the kama girl. 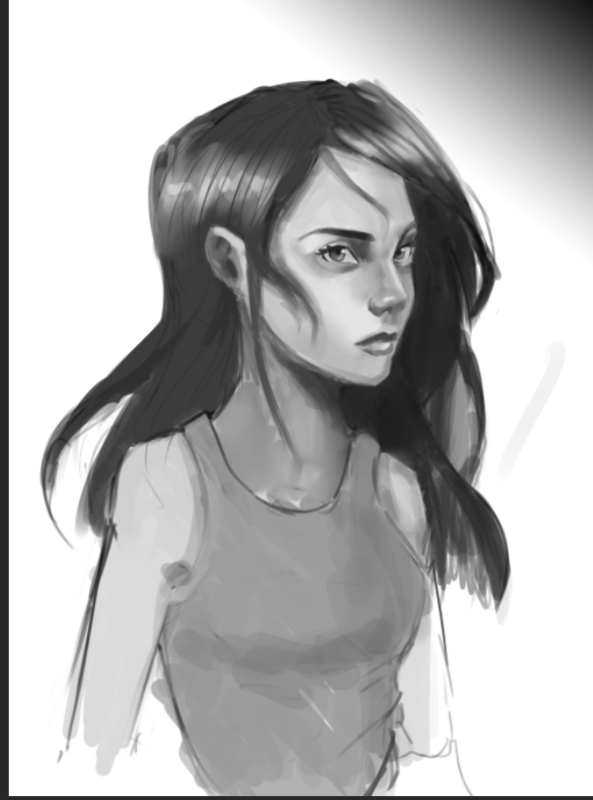 Man you bring me back to the days I was obsessed with grayscale painting. It's surprising how effective it is at bringing out form and shades. I've always really liked the expressiveness of your faces. It's got this nice old-school-atelier-face-study-feel (is that a word) that really works. Your hair and eyes are on point.